For years, there has been speculation about the demise of email as an effective marketing channel. After all, there are so many newer, shinier platforms to distract digital marketers: social media, PPC advertising, pop-ups and chatbots, to name a few. All of these relative newcomers have their place, but the power of email marketing — yes, even in 2018 — shouldn’t be underestimated. According to CRM giant Salesforce, email marketing earns a remarkable ROI: $ 38 for every dollar spent, or 3800 percent. 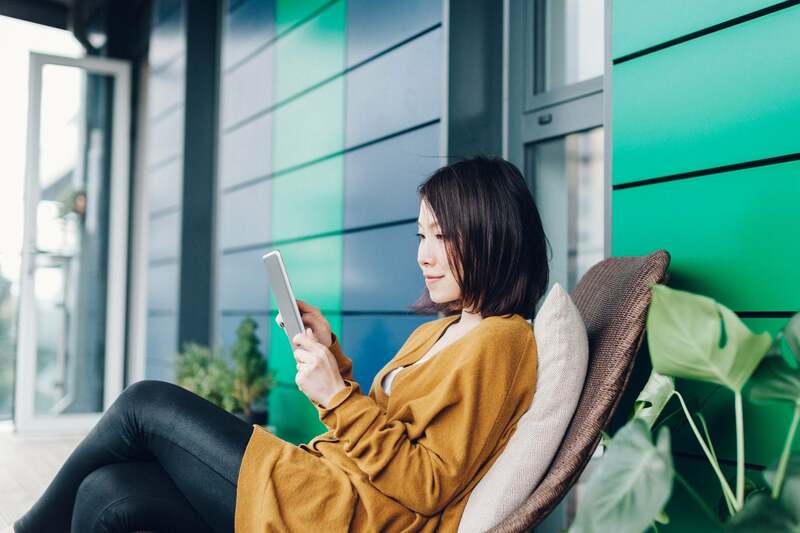 There are few better ways to retain and market to existing customers than by offering a newsletter packed with engaging and relevant content, delivered in a consistent manner. Retention is instrumental to a business’ success. According to the Harvard Business Review, it can cost up to 25 times more to acquire a new customer than to retain an existing one. Additionally, enticing your website visitors to receive your newsletters regularly builds your brand, keeps it top-of-mind and drives continuous traffic to your site. Here, we examine three essential elements of a successful newsletter strategy and how it can drive business for your company. Acquire subscribers and their consent. One aspect of email marketing that definitely is on life support is cold emailing. Recent legislation, particularly the European Union’s General Data Privacy Rule (GDPR) and upcoming e-Privacy act — along with the advanced spam detection offered by email service providers (or ESPs) like Gmail and Outlook — have consigned unsolicited marketing emails to the recycle bin of history. For reputable online marketers and businesses, this is no bad thing. It just means working harder to create email newsletters that deliver true value to your subscribers. The first step in building a subscriber base for your newsletter is to capture email addresses from both existing and potential customers. When a customer makes a purchase for the first time, make sure to request their opt-in to your newsletter and any other marketing emails. Sending newsletters to customers without their consent, even if they have made a purchase, is considered bad practice, and is illegal in Europe under GDPR. For visitors to your site yet to make a purchase, consider otherwise incentivizing them to part with their email address. An effective marketing tactic to accomplish this is to offer a lead magnet — typically a free item or service like an e-book, whitepaper or trial subscription — in exchange for an opt-in to receive marketing materials. Tools like GrooveJar and Unbounce offer powerful conversion tools such as custom landing pages, pop-ups, and sticky bars to facilitate gathering email addresses from website visitors. Be sure to obtain consent to send marketing emails specifically at the time you collect an email address. Not only is this a best practice, the GDPR prohibits sending emails other than the one fulfilling the offer without consent. Newsletter design is an art in itself. For many businesses, particularly in the business-to-consumer space, strong visual elements are considered essential. In a comprehensive study on The Science of Email, Hubspot found that, when surveyed, up to 65 percent of respondents preferred emails comprised mostly of images. However, observational data gathered by Hubspot revealed that click-through rates actually declined as the number of images increased. “Above the fold” is a term that originates in the newspaper industry, where broadsheets are traditionally displayed folded in half on the newsstand. With email, “above the fold” refers to the portion of the email users can see without scrolling. The principle with either medium is simple: it’s essential to capture your reader’s attention without requiring them to unfold a newspaper or scroll down in an email. A study by the Nielsen Norman Group suggests that users spend 84 percent more time reading content above the fold than below it. One element of newsletter design that has become crucial is that it be mobile-friendly. A 2018 study by Adestra found that 59 percent of email is now opened first on mobile devices. Despite the fact that most ESPs now make it easy to send responsive emails — formatted to automatically render correctly on any device — only 17 percent of marketers always send responsive emails, according to Marketing Land. If marketers follow only one piece of newsletter design advice, make it this: employ responsive design. Otherwise, much of the hard work that goes into building a subscriber list and delivering a high-quality newsletter may go to waste when the recipient deletes the email five seconds after opening it. If you consistently deliver high-quality, engaging content through your email newsletters, your subscribers will be more likely to open them and less likely to click “unsubscribe.” Whether you’re curating third-party content — for instance via a weekly or monthly roundup of news relevant to your target audience — or you’re delivering or promoting the unique content you have created on your company’s blog, make sure you deliver value consistently. Promotional emails have their place, but you’re not doing much to elevate the value of your brand if all you ever offer subscribers are discounts and special offers. Jason Calacanis, a serial entrepreneur and early investor in Uber has placed a substantial bet on content-driven email newsletters. Calling email, “the largest social network,” the website he founded, Inside, offers scores of unique newsletters targeted by industry, and promises “real news, curated by real humans.” Examples of the newsletters Inside offers, either through paid or ad-supported free subscription, include the bitcoin, beer, drones, AI and real estate industries. By offering highly targeted, carefully curated content only to subscribers who have opted in, Inside has achieved an average email open rate of 40 percent, according to NiemanLab. Even the most established media companies, like The New York Times, have invested heavily in newsletters. The NYT currently offer at least 50 on a broad range of topics including climate change, cooking and Canada. Newsletters from The Times are highly successful, achieving open rates of up to 70 percent, according to Digiday. Contrasting the average open rate — just over 20 percent for marketing emails across all industries for companies of all sizes, according to MailChimp — with the much higher open rates of newsletters created by Inside and The Times provides a clear indication that high-quality, targeted content which resonates well with subscribers garners better results. When used effectively, email newsletters can be one of the most effective digital marketing tools. Proactively acquiring subscribers, nailing the design, and delivering high-quality, engaging content are three essential steps for driving business and building your brand’s perception through an email newsletter.